In case you haven’t heard, the Pope of Mope himself, Morrissey is releasing a documentary/concert film, 25: Live, filmed earlier this year at a high school in Los Angeles, in celebration of his 25th anniversary as a solo artist. The doc is slated for a theatrical run beginning Aug. 29, and many dates have already been announced. Absent so far? Nashville. And all of Tennessee, for that matter. Though many locations are still TBA (and we may stand a decent shot of getting the film at the Belcourt or even the Franklin Theatre), we’ve been burned twice by Moz this year, and couldn’t handle a third, so we’re not going to get our hopes up. 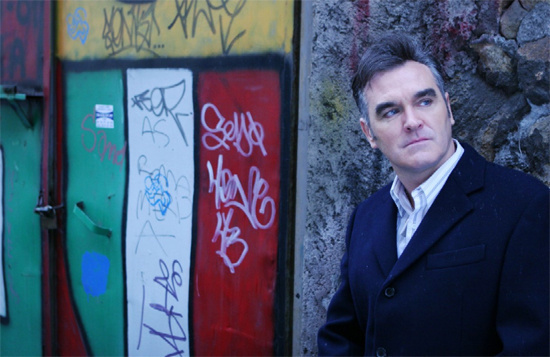 In case you missed it- Morrissey was scheduled to play The Ryman back in January, but was forced to reschedule due to illness, then ultimately canceled the rescheduled date as well (along with the rest of his tour). It’s been years since the singer last played Nashville and, at present, he has no plans to return for the foreseeable future. Ready for a limited film engagement where Nashville isn’t getting skipped? This weekend, Sharknado, the so-bad-it’s-almost-good SyFy Original Movie that set Twitter ablaze during its telvision premiere last month will see a one-time, midnight, theatrical screening nationwide- how’s that for the power of the internet? Music City residents looking to get their fix of shark-infused natural disaters get their pick of TWO locations: Regal Green Hills Stadium 16 AND Regal Opry Mills Stadium 20 & IMAX. This is going down Friday, Aug. 2, at midnight, and you can grab tickets here. It won’t make up for a lack of Moz, but hey, it’s something. Check out trailers for both films, after the jump.